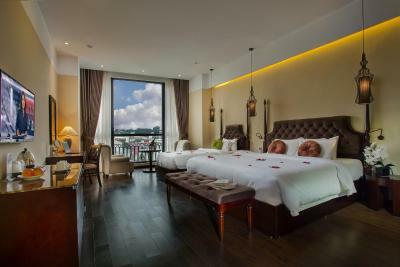 Lock in a great price for Hanoi Marvellous Hotel & Spa – rated 9.6 by recent guests! Staff is really amazing, specially the front desk staff and the cleaner at the lobby. 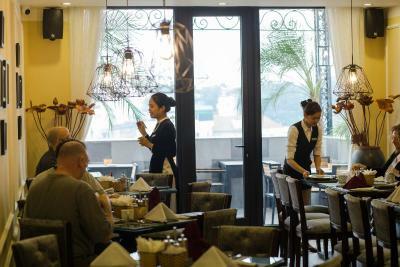 The staff are friendly, warm, helpful and attentive to details. The hotel was well-located, near major sites and restaurants. The rooms are clean and comfortable. This was a lovely hotel. I was traveling with friends and we had three rooms. This hotel more than met our needs and provided a nice home base for our weekend trip. The staff was friendly and helpful. 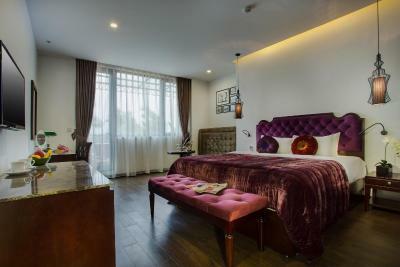 The room was comfortable and nicely decorated--we particularly liked the orchids hanging outside of the shower and all of the small, personal touches like a welcome drink and farewell note. 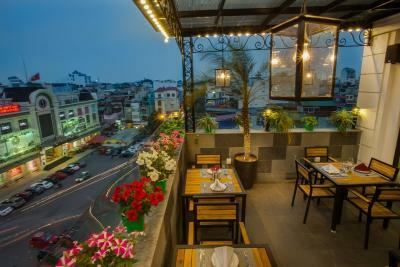 The location was conveniently located, perfect for a nice weekend of exploring Hanoi. 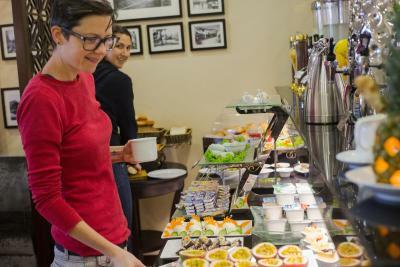 The breakfast was delicious and had lots of made-to-order options included for no extra charge. 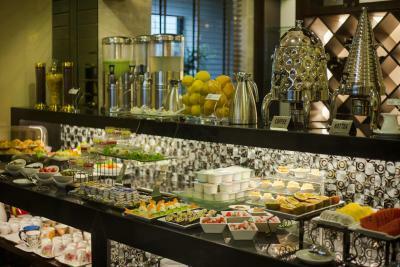 Breakfast is awesome, staff is super helpful, and rooms are comfy and spacious. HIGHLY recommend this place! Great ambience, Wonderful and professional staffs, convenient location, clean and chic .... definitely will be back. Myself and my girlfriend stayed here for 3 nights at the start of our 3 week trip and we couldn’t recommend it enough! Everything from check-in to check-out was amazing. Lan was also brilliant at helping us organise our Sapa and Ha Long bay trips. She spent well over an hour going through all the different options and literally couldn’t help us enough. We were provided a 5 star service at all times and we were offered brilliant prices on our trips. We also had a little hiccup at the airport where we left our bank card in an ATM (be careful here, Vietnam bank machines give you the cash and then ask if you’d like another transaction before giving the card back). Lan where incredibly helpful here and rang the airport and the bank to get our card back which was really amazing. 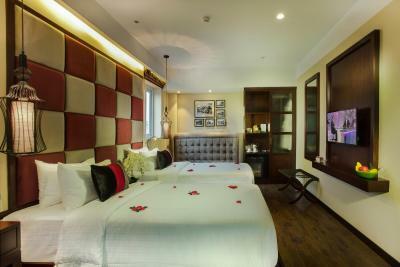 Good location, the room is very comfortable especially the bed, Very nice stuff and excellent breakfast! 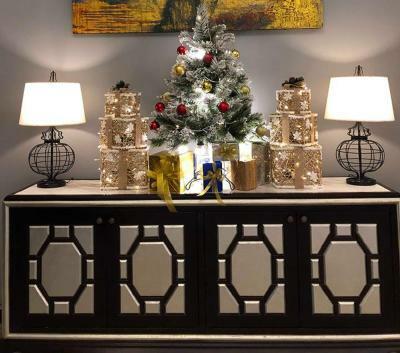 This quaint hotel is in the heart of the old French quarter area. You can walk to all the sites and great restaurants. The rooms are quiet and comfortable. The staff is super friendly and accommodating. The breakfast is very good and varied. 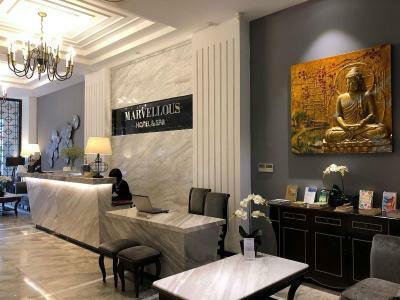 Hanoi Marvellous Hotel & Spa This rating is a reflection of how the property compares to the industry standard when it comes to price, facilities and services available. It's based on a self-evaluation by the property. Use this rating to help choose your stay! 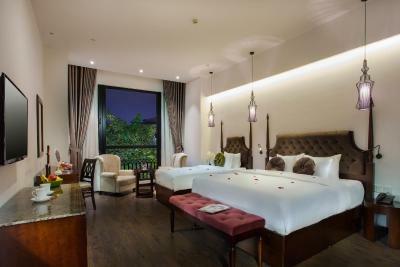 Polished wood and chandeliers set an elegant mood at Hanoi Marvelous Hotel & Spa, a 5-minute walk from Hang Da Market and Gallery in Hanoi’s Old Quarter. 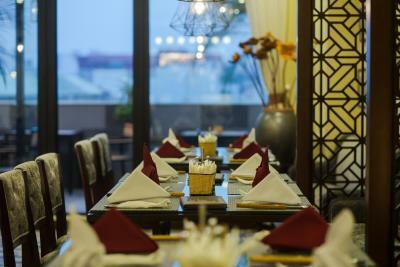 It features an in-house restaurant and free WiFi throughout the property. 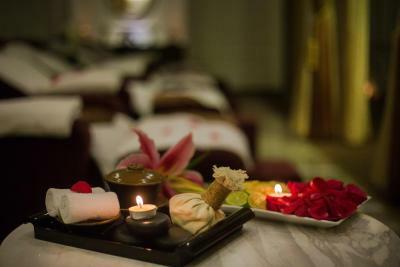 Guests can indulge in spa treatments and services in the hotel's spa center. 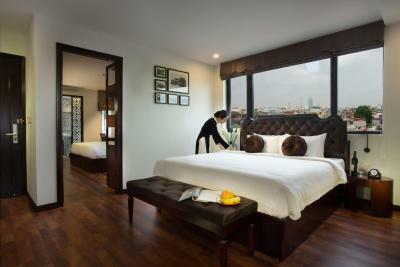 Air-conditioned rooms are fitted hardwood floors and come with a flat-screen cable TV. Guests can enjoy a drink from the mini-bar. Interconnecting units are available for some room types upon request. It takes 7 minutes to walk to Hanoi Temple of Literature and One Pillar Pagoda. Hoan Kiem Lake and the Vietnam History Museum are both a 10-minute walk away. Staff at the 24-hour reception can assist you with laundry and dry cleaning services. Guests can also rent cars and bicycles to explore the surrounding area. 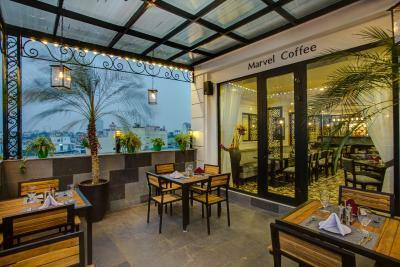 Hanoi Marvelous Hotel & Spa's all-day dining restaurant serves delicious dishes ranging from Vietnamese, Asian and European cuisine. Special dietary menus are available upon request. 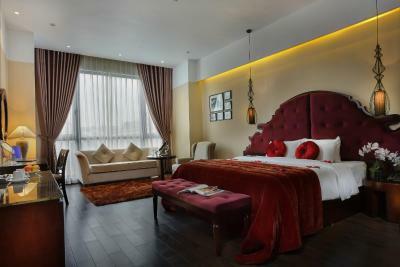 Guests can enjoy panoramic city views of the Old Quarter on the 6th floor. Room service is available. 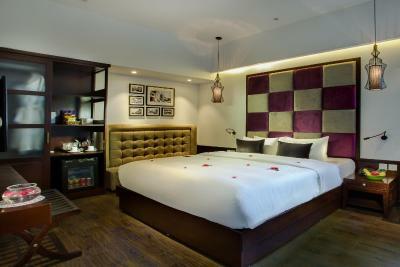 When would you like to stay at Hanoi Marvellous Hotel & Spa? 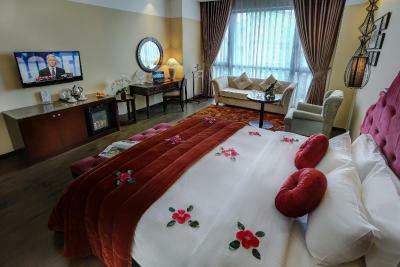 The air-conditioned room features a working desk, flat-screen TV and sofa. Private bathroom comes with a shower and free toiletries. Please note room has no window. 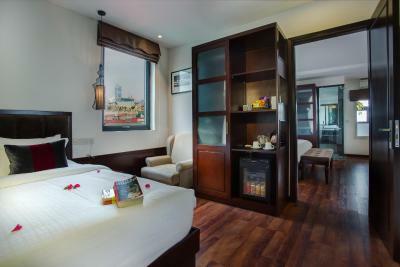 Larger room is brightly-lit with natural light from a small window and is air-conditioned. 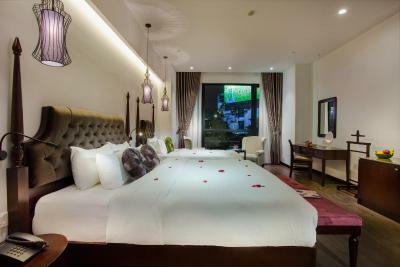 Room is also furnished with a working desk, sofa and private bathroom with shower facility. 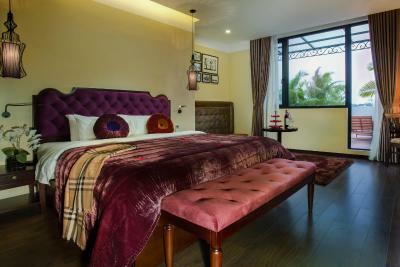 Junior suites are large and elegantly furnished with hardwood floor and a sofa. 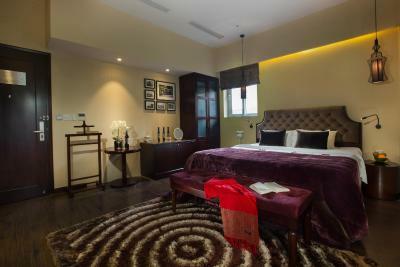 Featuring air conditioning, suites are fitted with a cable flat-screen TV, an electric kettle and a wardrobe. Private bathroom includes a shower and hairdryer. 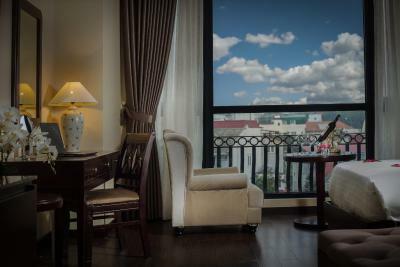 Located on the higher floors, the suites come with a large balcony which opens up to views of Hanoi's Old Quarter. 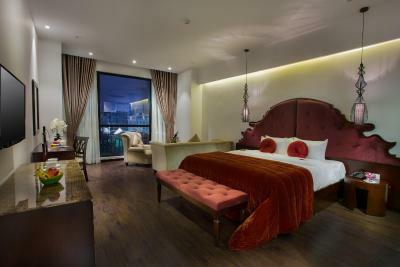 Surrounded by hustle and bustle streets, the air-conditioned suites are also furnished with a sofa and a working desk. Private bathroom is fitted with a shower and a hairdryer. 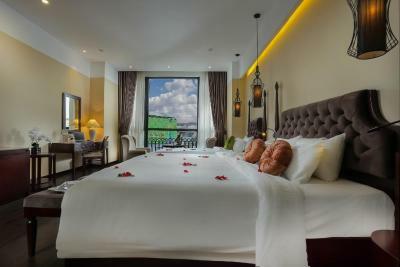 Located on the higher floors, the Honeymoon Suite provides views of the surrounding and is furnished with hardwood floor. A mini-bar and an electric kettle are included. 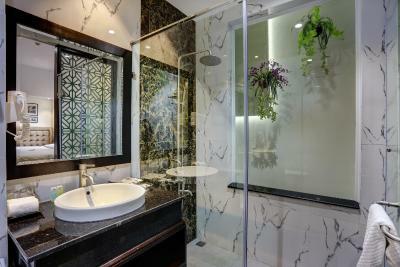 Private bathroom is fitted with a shower and a hairdryer. 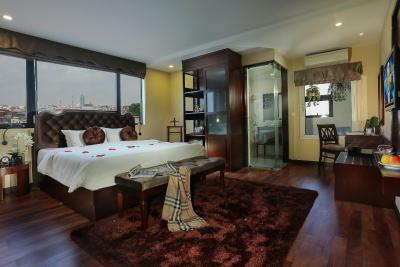 Complete with a large window overlooking the city, spacious suite is elegantly furnished with hardwood floor. 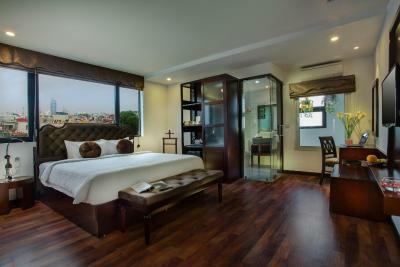 Offering air conditioning, suite also features a seating area with sofa, a work desk and cable flat-screen TV. Attached bathroom comes with shower facility, a hairdryer and bathrobes. Boasting views of the city, luxurious suites are spacious and feature air conditioning, a satellite flat-screen TV and a work desk. Attached bathroom comes with shower facility, a hairdryer and bathrobes. 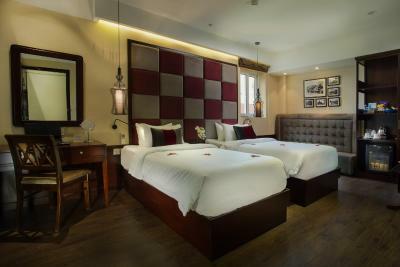 Connect rooms feature private entrance, carpeted flooring and air conditioning. Private bathrooms come with standing shower and free toiletries. 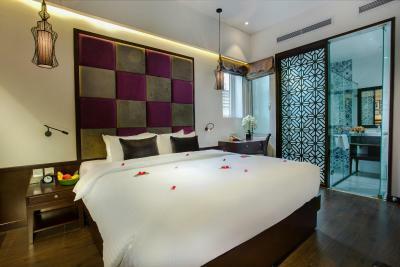 House Rules Hanoi Marvellous Hotel & Spa takes special requests – add in the next step! 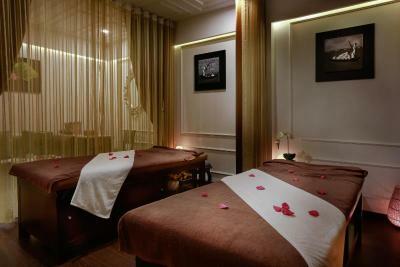 Hanoi Marvellous Hotel &amp; Spa accepts these cards and reserves the right to temporarily hold an amount prior to arrival. 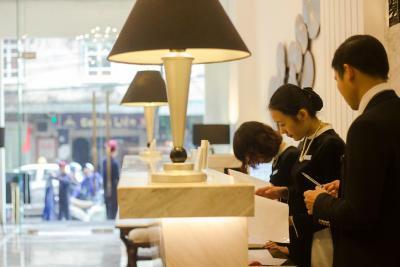 Hanoi Marvellous Hotel & Spa accepts these cards and reserves the right to temporarily hold an amount prior to arrival. 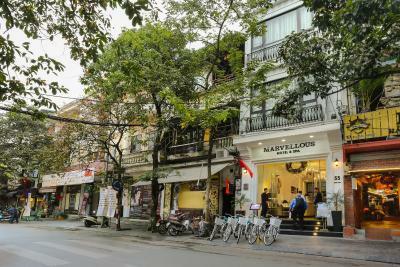 Please note that check-in and key collection take place at: 55 Duong Thanh, Cua Dong, Hoan Kiem, Hanoi 100000000. I have tried hard but can't think of anything that could be better. 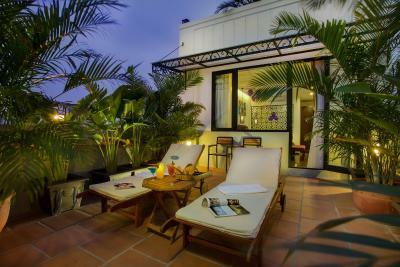 We had the Marvel suite with rooftop terrace. Stunning views. But the best part was the staff who did so much to make our stay so good. The staff is nice. The arrangement of tour is good. The attitude of managing difficult situations is quick and helpful. 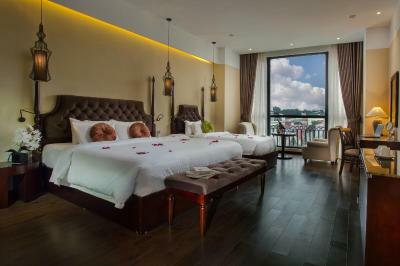 It’s the second time we ask the hotel to arrange our Hanoi/Sapa tour. I hope soon we can go to Hanoi! We learn too late that the offered attractions packages was very expensive compared to other agencies. Perfect location. Super nice staff. They let us keep our luggage in the hotel while traveling to halong bay and sapa- it's was much more easy to travel light. I highly recommend this hotel. It is very well located. The team is both professional and kind. The rooms are very nice and very clean. The breakfast is very good. Everything was perfect! 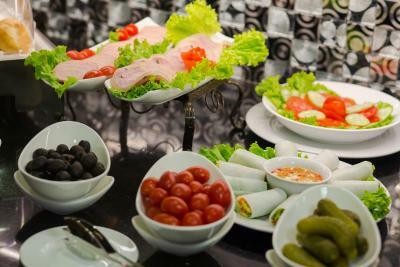 The spa is great, the staff is friendly and the food was nice! A real gem and would definitely go back. Love their top notch service on all the small details. Serving us water after we have check out. Sending us off personally. You feel their sincerity on little details and it makes you feel warm. We stayed just overnight and had to leave before breakfast. But the hotel offered a take away meal. Nice location to easily explore the city centre.